Cargotec has enhanced its MacGregor bulk cargo gravity unloading system with two new developments: a space-saving gate under the hold, and a fully enclosed boom conveyor. 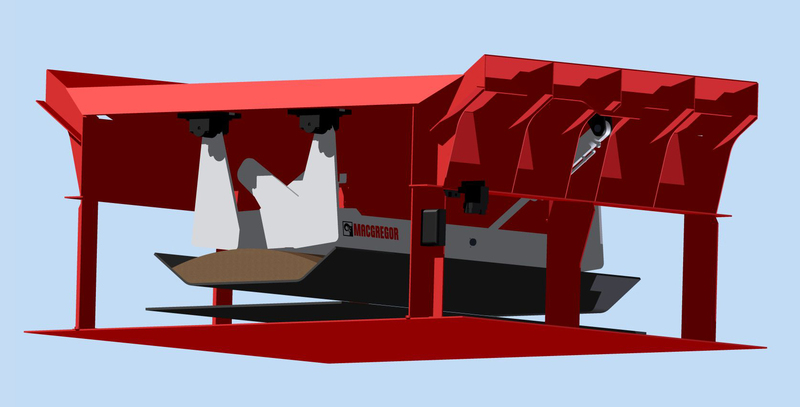 "MacGregor gravity self-unloading belt conveyor systems for bulk carriers benefit from over 50 years of development and operational experience but, as in all areas of its activities, Cargotec continues to refine and improve the concept," Sales Director Johan Ericson says. 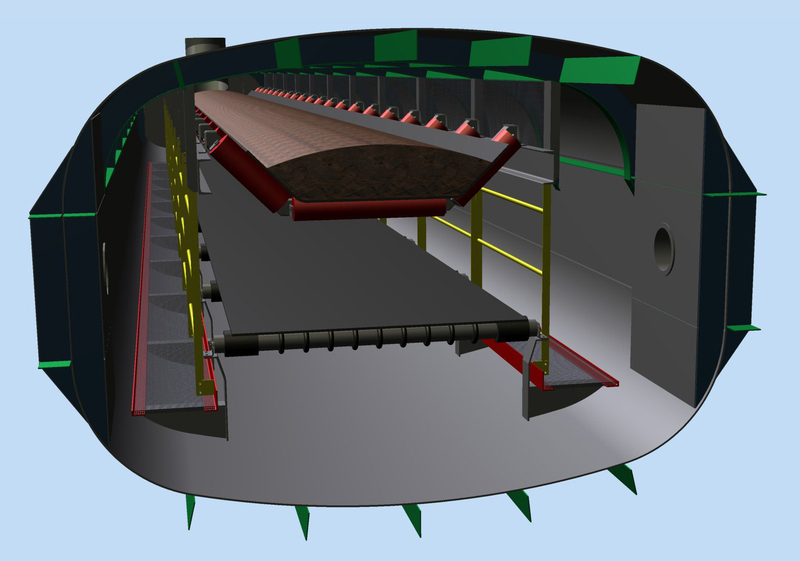 Cargo gates are the first element of a ship's gravity unloading system, and allow the cargo to fall on to the conveyor belt running below the cargo holds in a controlled manner. As part of its continuing R&D investment, Cargotec has developed the MacGregor Full Flow Gate. Its wide gate opening generates increased cargo capacity and increased discharge rates while minimising material flow disruptions. The new gate can handle a variety of cargoes including coal, iron ore, gypsum rock and aggregates. Anders Bäckström, Senior Mechanical Engineer, says "Cargotec has developed a gate with a high cargo handling capacity without compromising on hull space. The more space occupied by the gates and conveyors, the less there is available for the revenue earning cargo. Thanks to careful placing of the gate control machinery, the MacGregor Full Flow Gates require much less space than traditional gates." The boom conveyor is the final element of a ship's bulk self-unloading system, transferring the cargo to a shore based or marine facility. 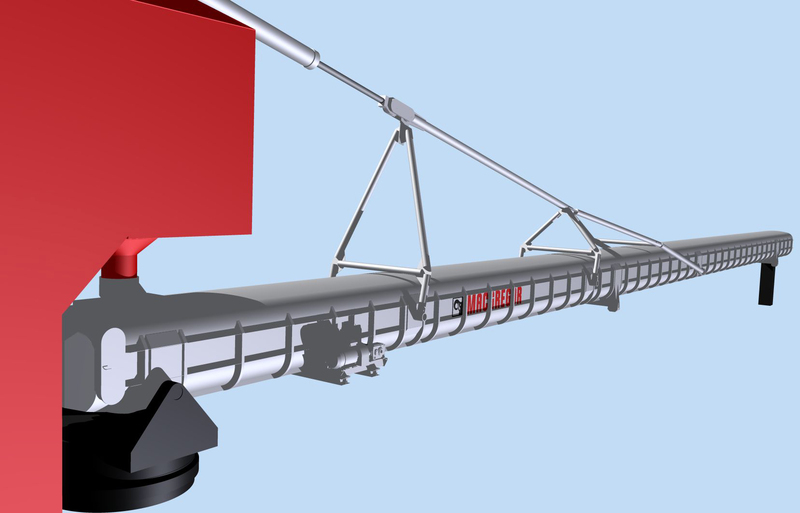 Up to now, boom conveyors have been equipped with conveyor covers, water spray nozzles and dust collectors to reduce spillage and keep dust emissions to a minimum. "Modern requirements are for dust-free operations for the benefit of crew, stevedores and the local environment," says Tomas Wallin, Technical Director. "The total enclosure of the MacGregor closed boom results in a truly dust-free operation, but the benefits do not end there. "Thanks to its ingenious design, the MacGregor Closed Boom has an optimal support structure with a smooth upper surface to prevent ice formation and a smooth inner bottom surface to enable easy cleaning. Service and inspection is also much easier and safer than with a traditional system." There are walkways alongside the belt, allowing safe and easy access to the equipment within the walls of the boom. The new boom will benefit from an increased product life span because the components are well protected against the external elements.